Inspired by her love of the super cute, today's Design-A-Day SpoonChallenge is brought to you by Heidi Kenney. 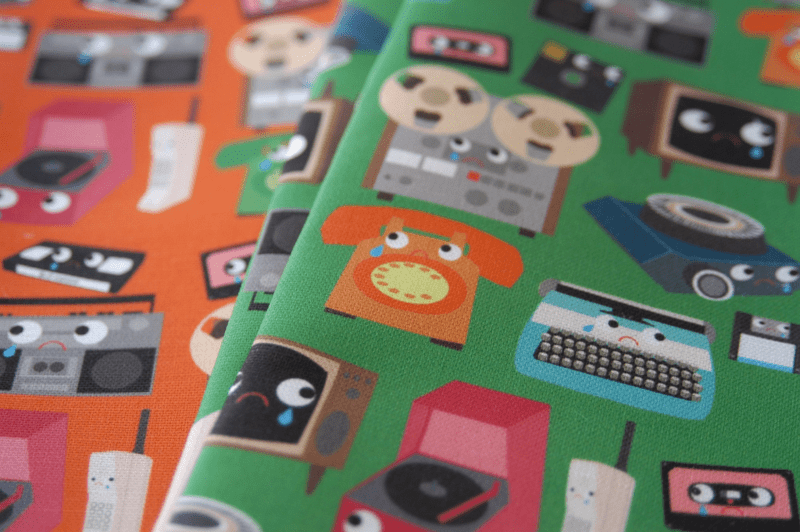 Today Heidi gives us a run down of the history behind this fabulously fun design style along with pointers on the various ways you can make it your own. Ranging from her love of pizza to drawing nuns, she shows us just how versatile kawaii truly is. 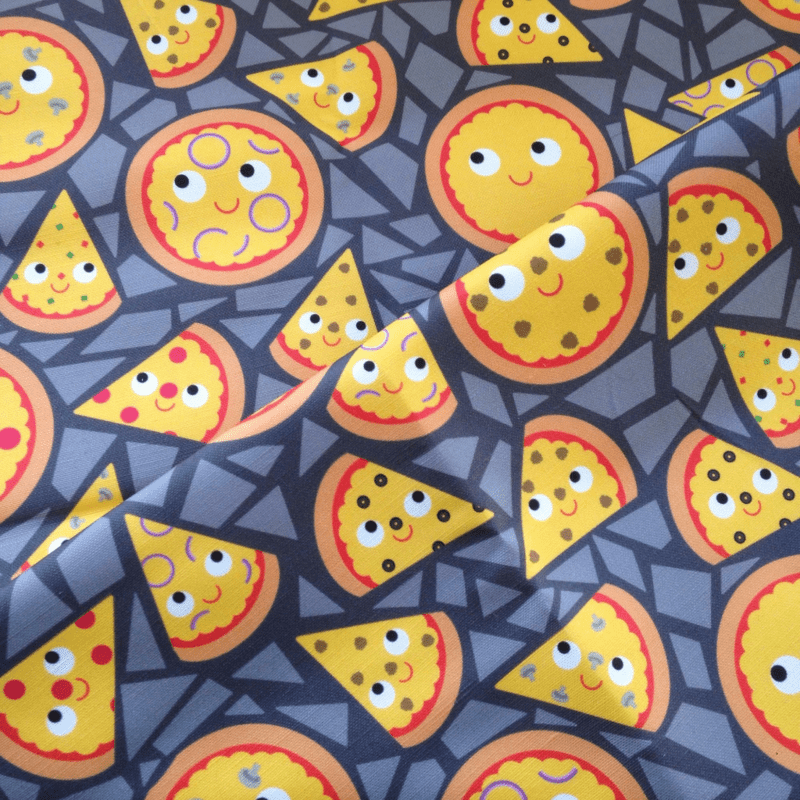 Be sure to check out more of Heidi's kawaii designs over in the Spoonflower Marketplace! Heidi: Kawaii is a Japanese word that means the quality of being cute or items that are cute. Kawaii began in the 1970's in Japan, when teenage girls began using a cute informal style of writing. It included hearts, smiling faces, and doodles and was seen as a rise against traditional Japanese culture. Kawaii has grown from a small teenage rebellion into an huge part of Japanese culture. In Japan today, you can see the kawaii influence everywhere, from adorable items you might expect like toys and clothing to delightful mascots for police departments, national parks, and historical landmarks. The internet has made it easy for people outside Japan to share in kawaii culture and it has since spread worldwide. I have always loved creating "cute" things. For me, that means a lot of the stuff I make gets a face, sometimes happy, sometimes very sad. You should never feel limited that things need to be happy to be cute. Never underestimate the charming power of a crying piece of burnt toast! Adding a face is an easy way to turn an everyday object like a radio into a cute little electronic device with personality. Your kawaii characters do not need to be something that already exists. Think about creating your own characters by combining a couple of animals or your favorite animal or food. Take a look at kawaii characters that have already been created, so you can come up with something you've never seen before. Experiment with faces, moving the distance between facial features. Try the eyes close together, further apart. Creating something kawaii doesn't mean you have to work with inanimate objects. 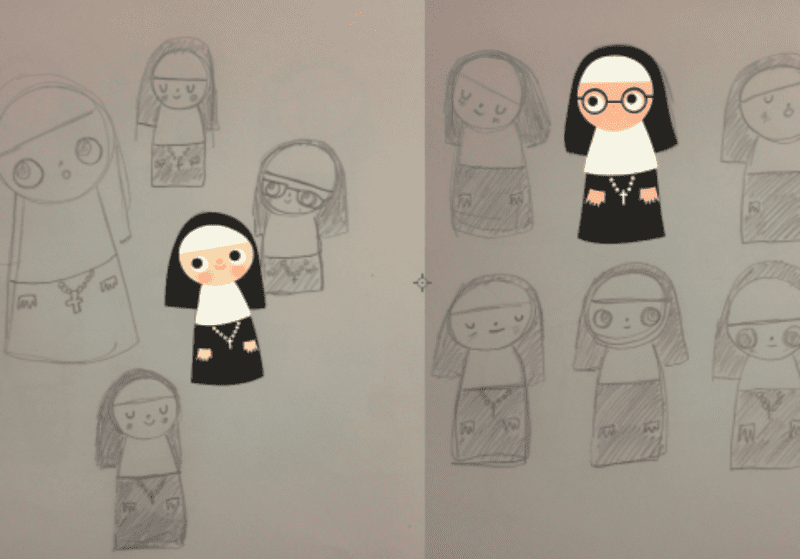 I created a fabric covered in nuns that have large round heads, smaller bodies, and simple faces. Personifying objects might be my go-to, but don't limit yourself. Think big eyes, simple expressions, a winking eye created with just a few lines, but don't feel trapped by hard and fast rules. Sometimes in kawaii design, the thing that matters the most is the question, "Is it cute?". If sweet characters are not your thing, there is also a version of kawaii called kimo-kawaii (gross-cute). Imagine a little zombie character, falling apart and gross, but still cute. Whether you're feeling kawaii or kimo-kawaii today we're sure there's plenty to be inspired by. Have some fun with this design style and be sure to share it to Instagram, Facebook, Pinterest orTwitter with #SFDesignADay so you can share it with the entire Spoonflower Community! Heidi Kenney is a self-taught artist who creates plush and 3D soft sculptures, happy (& sometimes very sad) plush everyday food & household items. Born in Washington DC, Heidi currently lives in Pennsylvania. She started her company and website, My Paper Crane, in 2001 so she would have a place to blog and showcase the plush toys she was making. Her work has been featured in the New York Times, The Boston Globe, and Print magazine. She has participated in group exhibitions across the globe including Tokyo, Australia, and The United Kingdom. 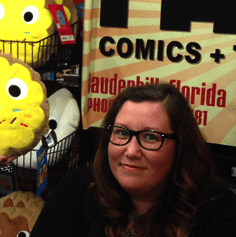 She has worked with the company Kidrobot to create the Yummy line of sweet & savory vinyl keychains, clothing, and plush.